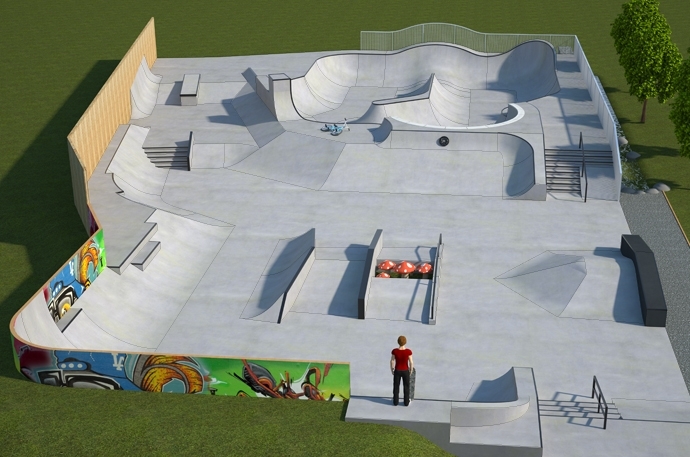 Meadow Lane skatepark was designed and built by Wheelscape and opened in 2013. 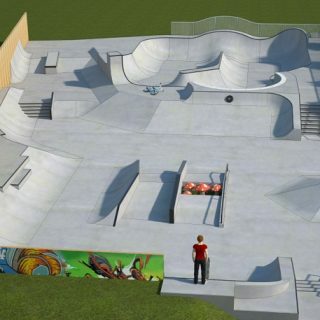 It is a large skatepark that features both a street and transition section and can be found on the banks of the River Thames. 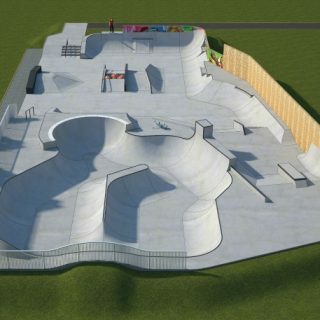 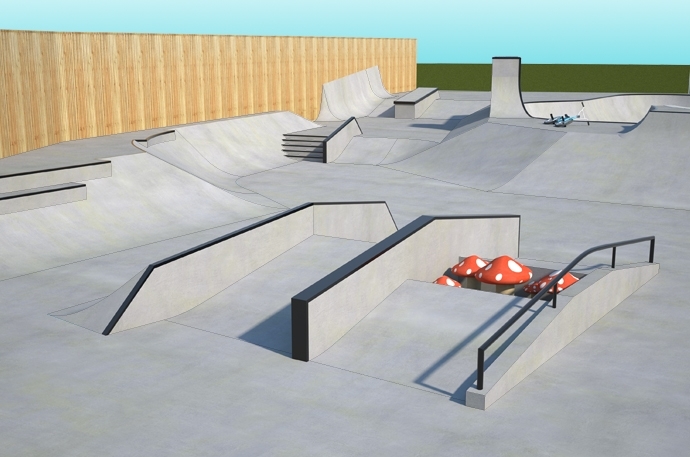 The street section starts on one side with a bowled edge next to a stair set with rail and flat bank that open up onto the main body of the skatepark. 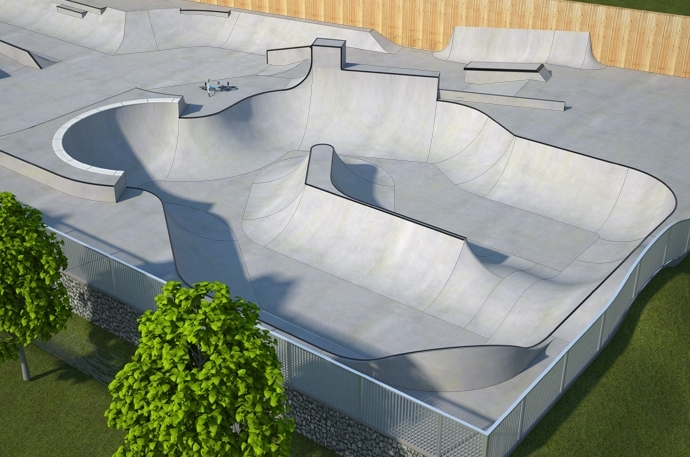 Following this is a roll over with adjoining pyramid next to a a kicker gap, driveway and bowled edge set. 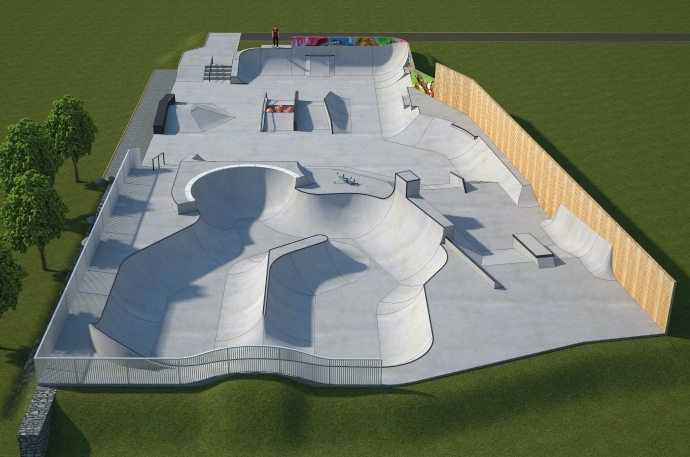 Running up the long side of this section is a bowled edge with extensions all along it and the run then finishes with a long hipped flat bank with a stair set on either side. 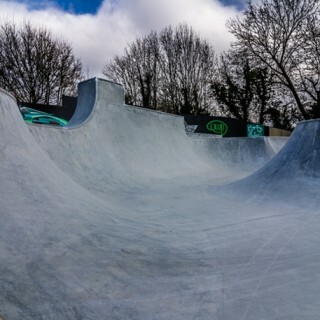 The back side of this flat bank is joined to the bowl here. 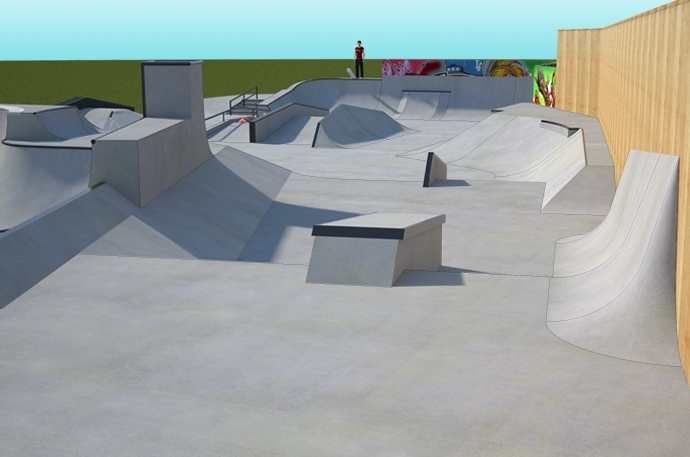 The bowl here is huge and is split into two halves down the middle with a spine and a roll over and a volcano at the end. 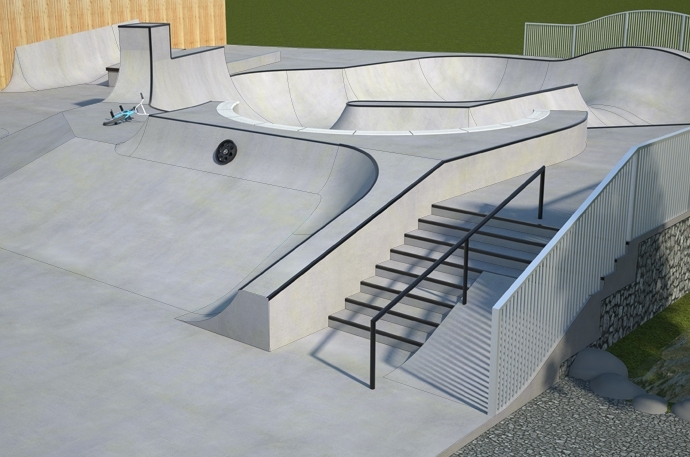 The bowl is set at various different depths and has extensions all around the edges and a speed bowl in on corner with concrete pool coping around the edge. 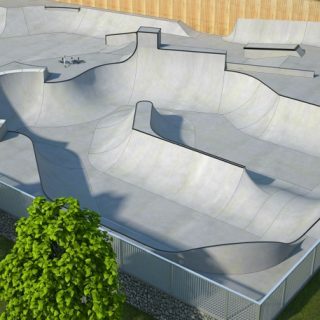 Meadow Lane skatepark is a fantastic spot that literally has something for everyone. 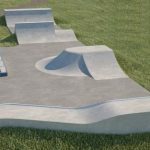 The bowl has a lot of bumps and corners to pump around without having to push and the street section has a decent selection of obstacles. 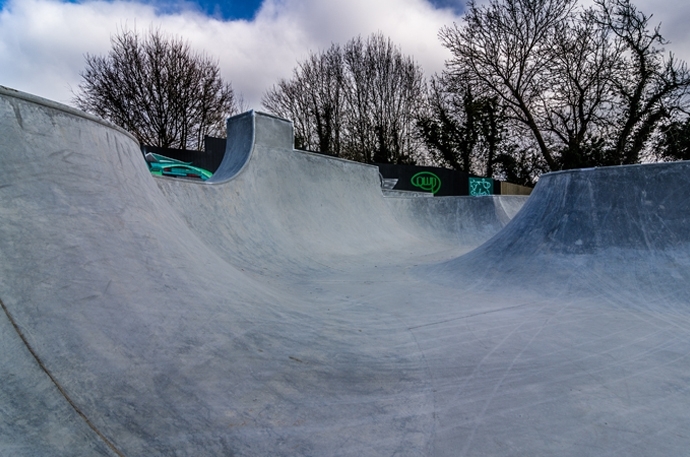 The surfaces are smooth and fast, making this a great place for beginners and experienced skaters as well. 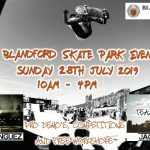 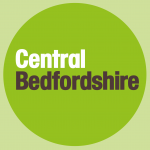 Oxford train station: As it is such a long distance from the station it would be recommended to get a bus or a taxi to get to Meadow Lane skatepark. 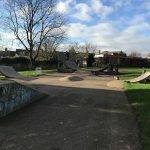 Donnington Bridge bus stop: Exit the bus onto Meadow Lane and head north until Meadow Lane skatepark is on your left.